Another first for the Scribbler, a visiting author from Croatia. 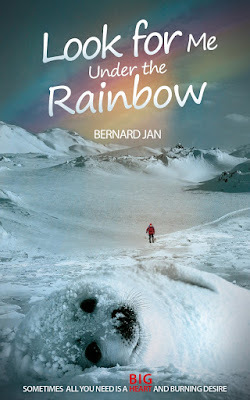 Mr Jan shares his bio and an excerpt from his novel. Bernard Jan is a pen name of an author—a novelist and a poet—from Croatia. 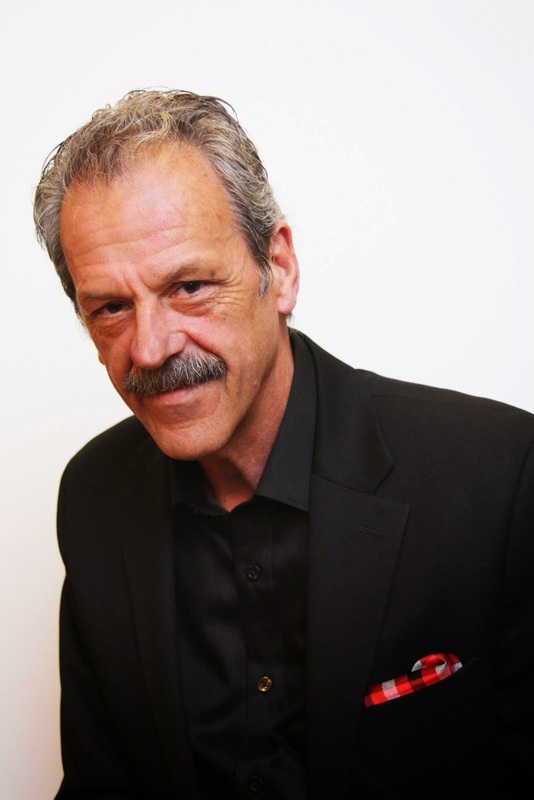 His passion for entertainment resulted in his becoming a partner of Tom’s Music Place established in 2009 by his friend Thomas Carley Jr. with the goal to respect the music. As part of his animal advocacy activities, it has been a great honor and pleasure for him to translate Eternal Treblinka: Our Treatment of Animals and the Holocaust by Charles Patterson into Croatian language. 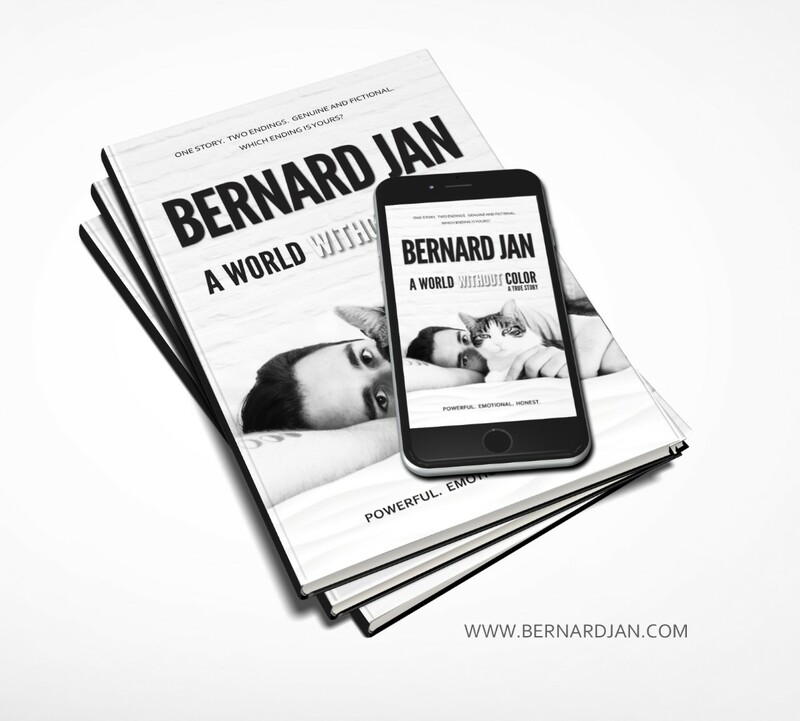 For more information please visit his website www.bernardjan.com or follow him on Twitter, Goodreads LinkedIn. The sea was unusually calm, even the deep currents seemed to stand still. As if suspended in the hushed stillness of dawn. The blue darkness of the night sky began to recede as the pale daylight washed over the horizon. Helped by the frail rays of the wintry sun shimmering through a cloud of fog. In the cold air, the coat woven out of the drops evaporated from the sea, turned into small crystals of ice. The fog crept along the surface of the sea, dragging like a tired traveler, and spread in the direction of the land. Thin in places, thick in others, it occasionally revealed a glimpse of the blinding whiteness that covered most of the land. If you looked at the right moment, when patches of fog dispersed enough to reveal an endless vista, you could see that it was, in fact, not land. 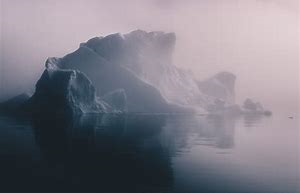 Enveloped by the gradually disappearing fog, huge icebergs loomed, huddled atop the ice crust covering the sea of blue. At first glance, one might easily mistake them for a continent. It did, in fact, exist. The outline of the coast etched against the distant horizon was all part of nature’s optical trick to fool a casual observer. Swathed in a mist of crystals, countless icebergs of various sizes stacked next to each other merged into the image of an ice mountain. The anomaly, carried by deep but weak currents, traveled the ocean almost imperceptibly. If not for the sound of the icebergs clashing and breaking piercing the sleepy air, the entire scene would appear lifeless. A white wasteland. Even the scattered groups of seals dozing lazily on white sheets of ice, seemed motionless and almost unreal. Their dark, slick bodies struck a sharp contrast with the surrounding harmony of whiteness. As if they were unwanted intruders. Now and then a seal would move, usually a female. 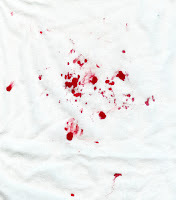 With a sharp sudden spasm, one cried out in pain struggling to bring a new life into this icy world of cruel beauty. Having left her group, she lay on her side trying to find the most comfortable position to endure the labor pains. Growing stronger and more frequent, they produced searing pain. She felt the restless pup kick and strain to come out into a whole new world. A world of breathtaking beauty, yet fraught with danger. She wanted to help it. She matched the pace of her breathing with his efforts to break the thin membrane that divided him from the outer world. She synchronized her heartbeat with his, but to no avail. She knew it was going to be a difficult birth. Still not full term, her offspring was in a hurry to leave her body. She nevertheless hoped the two of them would somehow succeed. When the pup suddenly started to writhe and push inside her, she could not help howling in pain. Her cry resounded over the ice, eclipsing the muted groans of other mothers-to-be who were to begin labor in a few days. They were rested and ready, prepared for the hardship of giving birth, while she had only just arrived and was still exhausted after the long swim from the north. A journey she would again take several months from now with her pup, back home to the winter-bound land of eternal snow and ice. That is, if the birth went well and all ended happily. As time went by, her fears seemed well founded. The last obstacle that separated her baby from the outer world was removed. 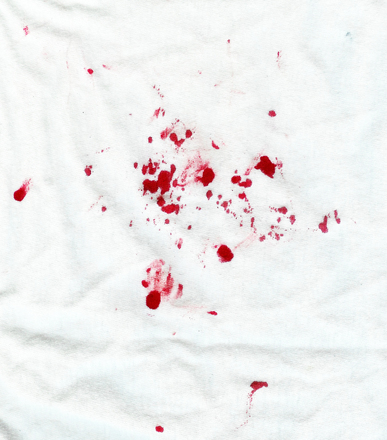 Splashes of red blood stained the ice around her, slowly freezing in the bitter cold. But the pup still did not come. Not moving, exhausted and weary, it braced itself for another attempt. 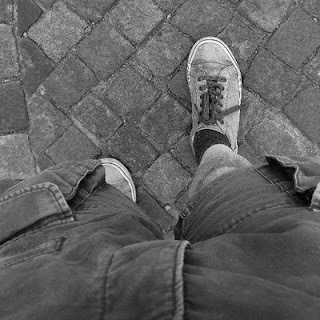 She wondered whether it was male or female. If a male, would he look like his father who had just woken and proudly sniffed the air? If a female, would she, like her mother, one day have to go through this pain to bring her baby into the world? After carrying it lovingly inside her womb for months and months, only to. . . .
A new wave of excruciating pain slashed through her body and interrupted her thoughts. The pup pushed its way into the world, this time with more force and determination. The mother again synchronized all her bodily functions with its efforts to break free. Though united in their struggle, she wondered whether they felt the same pain. Or if only she suffered? Though it did not matter. She would gladly endure all the pain it took, if only to let it live. As cry after piercing cry woke up other seals, they grew agitated, particularly the females about to become mothers in a few days. They timidly lifted their small heads to listen to the cries until they gradually abated. 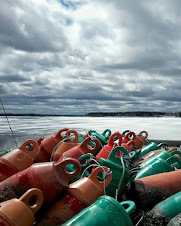 And then, one by one, they softly stretched on the ice that glistened in the sun. Silence fell, and everything was again hushed and motionless. She could barely hold the overactive pup at her breast. He kept pulling away and refused to eat. His large black eyes squinted at the new surroundings with curiosity, blinking in the dazzling sunlight reflected from the white surfaces. Dark whiskers protruding from his snout combined with big chocolate eyes and two short hairs resembling antennae above each one, were all that disrupted the harmony of whiteness cloaking the pup. His fluffy fur, in its dreamlike softness once the afterbirth had been washed off, seemed to blend into the whiteness of the glacier. This fragile creature looked more like a chunk of white ice than a living being. Protected by nature like a mother shielding her baby from the perils that lurked. His mother looked on tenderly as he gave in to her persistence and, something calmer, began to suckle. Content, she nevertheless remained on guard. Although seemingly relaxed, she’d primed her senses to detect the slightest of movements—any sign of danger or concealed threat. 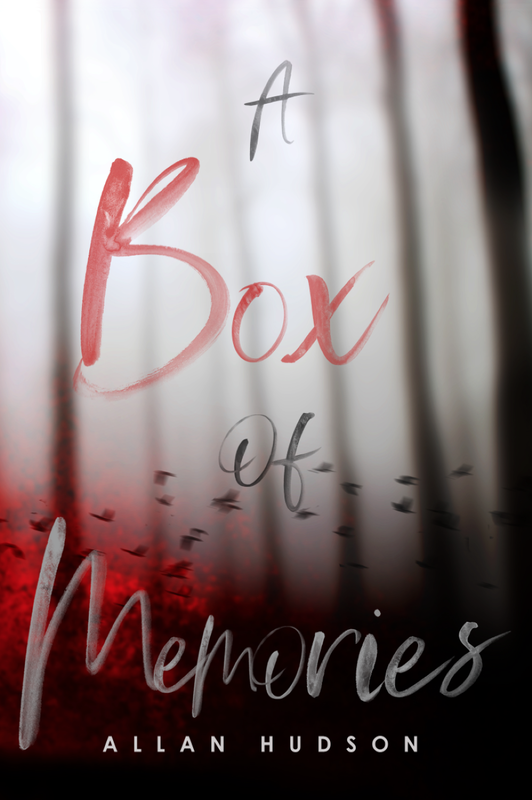 Her memories of the past, still too alive, filled her with a sense of foreboding. The satiated pup stopped nursing and snuggled by his mother. But she could not get rid of the nameless fear. With one eye half-open, she eventually dozed, ready to snap awake at any sound. She left him alone for a brief moment, to satisfy her hunger. When she returned, the cub was nowhere to be found. Nowhere! She scanned the iceberg hoping to spot him, but in vain. 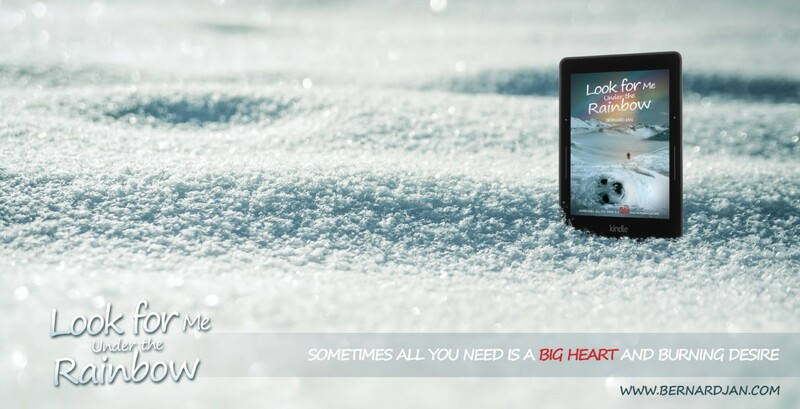 Overcome by fear, she stumbled and slid over the smooth ice, searching for her son. She hoped he’d joined the other seals. When she saw he hadn’t, she completely lost her head. She rushed forward, lurching and tripping, falling and rising again. Feverishly, she searched in each nook and cranny, turning at each shadow. Just when she thought it all over and lost hope of ever seeing him again, she saw something. 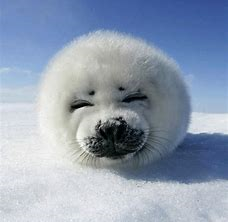 On another end of the ice floe, a small and fluffy ball shuffled toward the sea. No reply. The chilly wind carried her voice away. Catching her breath, she dashed after her son still skidding toward the sea. She scurried over the ice with only enough strength to let out several sharp barks in succession. It seemed to work. The pup stopped for a moment and turned around. Giving his frantic mother time to catch him. “Look, Mom! The sea!” He looked at her with shiny button eyes. “Come here, Danny, to Mommy! Let’s go.” Her heart pounding, she pressed him to her side and kissed the moist tip of his little nose. “But, Mom, this is the sea.” Eyes wide, the pup stared at the blue expanse of water stretching out between the giant icebergs into infinity. “When will I be able to go swimming?” Danny wailed. “Soon, my son.” Smiling at his curiosity, she moved toward the center of the ice floe, holding him by the nape of his neck. Thank you Bernard for being our guest this week and sharing an excerpt from your story. 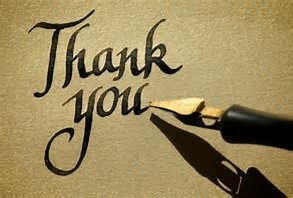 Thank you dear readers for visiting. 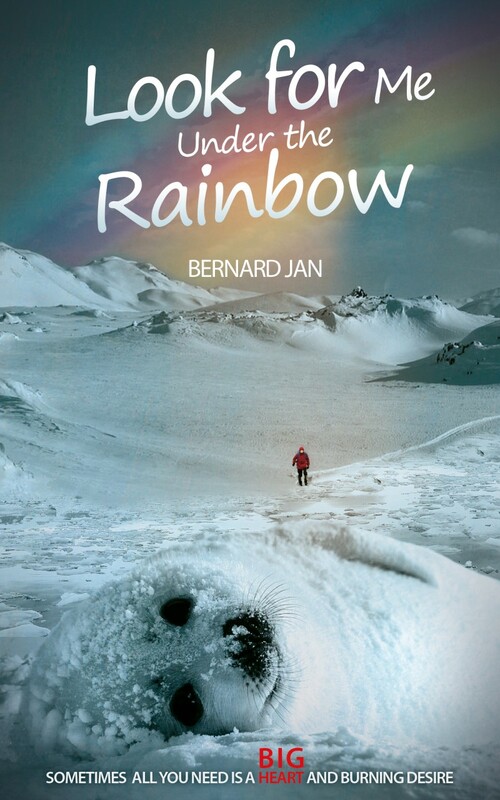 Please drop by Mr. Jan's website to learn more about him and his writing. Don't forget to leave a comment. 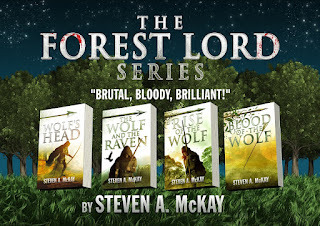 Steven is an accomplished author of The Forest Lord Series as well as the new Warrior Druid of Britain Chronicles and others. 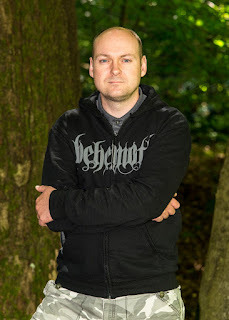 We are most fortunate to have Steven take the time to talk about his work and kindly share an excerpt from Book 1 of the Warrior Druid Series. Steven A. McKay was born in Scotland in 1977. His first book, "Wolf's Head", came out in 2013 and was an Amazon UK top 20 bestseller. "The Abbey of Death” is the final book in the Forest Lord series which has over 130,000 sales so far. 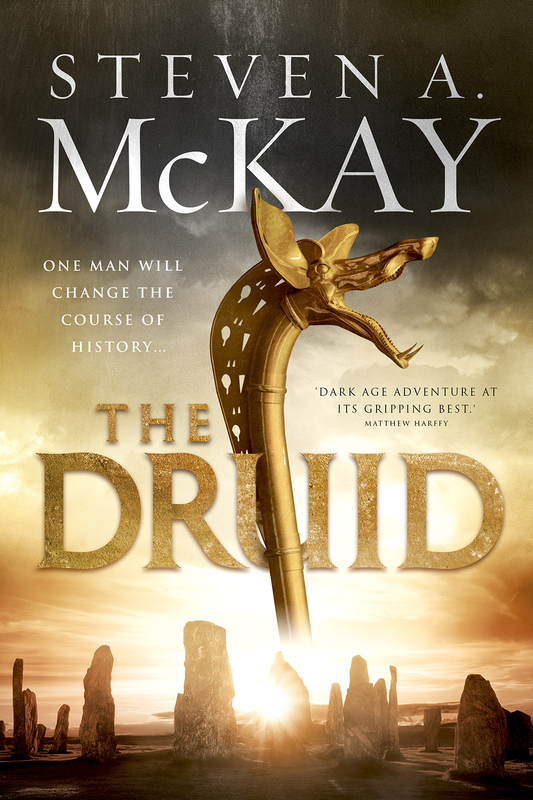 Steven's new book, "The Druid" is the first in a series set in post-Roman Britain and was published on November 1st 2018, holding the number 1 spot in the UK "Celtic Myths and Legends" chart for the next three months. His first novel written exclusively for audio, "Lucia", will be produced by Audible in 2019 and tells the tale of a Roman slave in second-century Britannia. Steven plays lead guitar and sings in a heavy metal band when they can find the time to meet up. 4Q: When I visited your website – stevenamckay.com – I was pleasantly surprised by the subject matter you’ve chosen to write about. How did this come about? SM: My first books, the ones in the Forest Lord series were inspired by, believe it or not, the name of a house. I was working my day job in a lovely part of Scotland and, on a break, was reading one of Bernard Cornwell’s novels. I decided there and then to try writing my own book, but who should be the hero? I wanted to set my tale in Britain hundreds of years in the past, with the backdrop of the forest and rivers and so on. Anyway, I couldn’t come up with much at that point, and I went back to work. Literally, the next house I drove up to had a name: SHERWOOD, and that was it! The gods had sent me a message, and from then on I started researching Robin Hood, a character I really didn’t know much about. As for my new Warrior Druid of Britain series, that was inspired by the old 80’s kids TV show we had in the UK – KNIGHTMARE. I was watching a rerun of that and there was an actor playing Merlin. I thought it would be good to write a story about a druid, and my imagination went from there. Not an old, white-bearded man like Gandalf, what about a young, huge guy who was as much a warrior as a druid? Unlike my Robin Hood books this gave me the chance to create a cast of characters all of my own (although Arthur and Merlin do make the odd appearance). 4Q: Tell us about the new series and what readers can expect. SM: It’s set in fifth-century Britain, when the Romans haven’t long left the island. 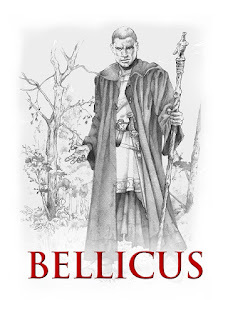 The hero is a young druid named Bellicus who is enormous, shaven-headed and fights like a demon. He has two great dogs and they travel around Britain having adventures. The first book, The Druid, sees Bellicus travelling nearly the full-length of the country tracking a Saxon warband who have kidnapped a young girl. That’s been out for a few months now and has lots of great reviews and sold really well. The sequel, Song of the Centurion, is about two-thirds finished and most of that takes place in Northern Britain although hopefully it’s just as action-packed and exciting as the first novel. SM: I always liked to use my imagination, even as a little boy. 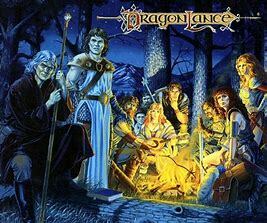 I would be out playing amongst the trees pretending to be a fantasy hero, like Caramon from the Dragonlance books, or one of the Ghostbusters (Venkman of course). I used to sneak down into the dark basements beneath the Glasgow tenements, hunting for spooks with my friends. 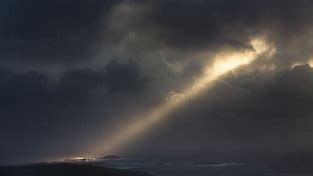 Once, we were convinced we found one and all ran out into the sunshine screaming – I still remember that glowing figure, it really scared me, although now I think it was probably just torchlight burnt onto my retina! As a child I wasn’t content just to watch TV or read books – I wanted to be part of the stories, to be one of the heroes. Writing my own novels gives me that chance in a way I find really fulfilling. 4Q: Every author or artist has that special “place” where they are most creative. Where would we find you when you are writing? Tell us about your writing habits. SM: Most of my ideas come when I’m at work, either walking around or driving. I like to plan scenes in my head the day before I sit down to write them, that way I can make the most of my valuable time, and don’t end up sitting, staring blankly at the screen. I used to write wherever, at the kitchen table or even sitting on the couch, but I have a little study now and that’s where my books are crafted these days. I always listen to some black metal, like Enslaved or Behemoth, as it helps me tune out real life and lose myself in the world I’m creating – that’s probably the most important thing for setting the scene for me. 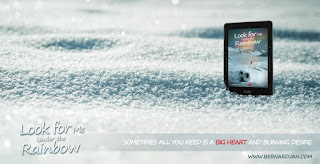 As long as I have my harsh music – almost white-noise in effect – I can write anywhere! 4Q: Anything else you’d like to add? SM: Thanks for having me Allan, I enjoyed your questions which were a little different from the usual Q&A. My next book will probably be a standalone novel, Lucia, which has been bought by Audible – they are producing it exclusively for audio which is really exciting for me. It’s a bit different to my usual books, as the protagonist is not a great warrior, but a slave-girl, captured by the Romans and brought to spend her life working in a villa in Britain. 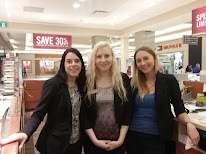 I am very hopeful it will be great new step for my writing career, so look out for it. Bellicus considered the request. The Romans had tried to obliterate the druids and their teachings but those in the north, far from Imperial rule, carried on their traditions. Specially chosen young men like Bellicus still learned the lore and skills of ages long past from their elders. So, of course he could carry a tune, but he didn’t particularly welcome the chance to do it this night. Singing was a talent he’d neglected while practising others— perfecting his unnerving stare for example. He’d spent many hours over the years glaring at his own reflection in a bronze mirror looted from some ruined Roman villa in the southern lands. As a result, he could put the fear of the gods into most men in Alt Clota and beyond with little more than a look. But singing? Bellicus hadn’t sung much recently as Coroticus had other, dedicated musicians, and he racked his brain now, trying to recall the words and melodies to some of his favourite songs. “Do we have any instruments, or musicians, in the hall?” he demanded, at last, into the expectant silence. “Aye,” a man nodded, raising a wooden flute while another, beside him, showed a drum, and another a simple horn. Clearly these men had been expecting to provide some entertainment for the evening in return for goods or favour from their lord. “Do you know ‘Rhydderch The Red’”? “Aye,” the flautist repeated, while the horn player cried, “Everyone knows that, don’t they?” to shouts of agreement throughout the hall. It was a simple song about rebirth with parts everyone could sing—or shout—along with, and it always went down well at a feast. The drummer nodded, glanced at his companions to make sure they were ready, then slowly began to beat out the rhythm. The people joined in, stamping their feet on the rush-strewn floor, before the horn player came in, adding his hypnotic droning bass sound and then the sweet piping of the flute filled the room with its familiar melody. Bellicus waited until the flute ended its refrain before he began singing the first verse in a low voice, the people hushing to listen while their feet continued tapping the infectious beat. To a place where the sun could nevermore stray. Come the snow! And the rain! Come the frost! And the hail! The revellers joined in with the chorus and Bellicus raised his own voice to be heard. The drummer held the beat and the flute joined in again, a trilling little melody which soared above the other instruments as the horn’s drone became a staccato that matched the drum’s faster rhythm. Bel grinned, enjoying the music and his own part within it, and his eyes scanned the room as people formed into small, swirling pockets of dancers. Even children were there, and the druid saw the little blonde-headed figure of Princess Catia darting in and out between the adults, a joyous smile on her face. King Coroticus had wished for a child for a long, long time before, at last, Queen Narina gave birth to Catia eight years ago. The king was naturally disappointed that his wife hadn’t borne him a son and heir but as the babe grew he had found himself softening towards her. And who wouldn’t? Bellicus wondered as he continued into the second verse, climbing nimbly on top of the lord’s table and leading the singing from that lofty position. Slaves darted to remove the trenchers of food and mugs of ale before they were destroyed by the druid’s stamping feet while his muscular pet dog, Cai, placed its forepaws up on the wood and watched proceedings like a sentry. Eolas was content to remain lying beneath the table, tail moving gently from side to side. The young princess, Catia, was a ray of sunshine in the dark winter nights with her mischievous smile, endearingly earnest conversations, and uncanny ability to make even the gloomiest of people cheerful. Right now, she was dancing with an older lady, holding the matron’s chubby hands and squealing in delight as she was lifted off her feet in the spinning dance which, somehow, hadn’t yet ended in a drunken mess of sprawling bodies. And the woman he’d left, for she’d been so fine. And he reached out and took up his sword in his hand. Come the spring! And the sun! 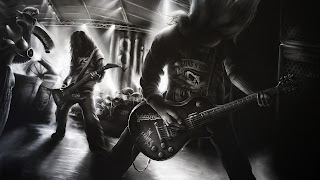 Come the light, in the black! Bellicus’s voice rose in power now as the musicians went into the final section of the chorus and the druid could see, from the corner of his eye, the queen, disapproving frown on her face, gesturing for her lady-in-waiting to return the princess to her seat. His smile widened as Catia evaded the woman’s grasping hands and skipped off into the crowd nearer the back of the hall. It would take more than a fat servant woman to capture the girl. “Come the spring! And the sun! The melody slowed and everyone in the room, even the queen, joined in with the final lines of the song, their voices loud and joyous in the dark, smoky hall and then the place fell into a breathless silence as all eyes turned to Bellicus who seemed huge and magnificent atop the table. The calls became a chant, so loud that, at first, no one heard the doors being smashed open or the harsh sound of metal meeting metal as the guards stationed there were attacked by half-a-dozen armed men. Bellicus saw it all unfolding though and knew the best way to capture everyone’s attention in an instant. His powerful voice split the audience’s happy chanting, penetrating to the very core of their being like few other words could. “Fire!” Bellicus roared again, pointing at the fighting men by the doorway. By now the unknown attackers had been joined by reinforcements and it seemed like they’d have an easy task rampaging through the hall, killing anyone that stood before them. The druid, not surrendering his raised position on top of the table, turned to Coroticus, looking for his lord’s orders. The king had drawn his sword and pushed the queen behind him but there was uncertainty in the man’s eyes and no wonder. This attack had come from nowhere and the noise and strong drink made everyone’s reflexes sluggish. Coroticus looked up at Bellicus, then back into the smoky hall, squinting into the confusing mass of people, uncertainty giving way at last to a murderous rage. Thank you so much Steven for being our guest this week. 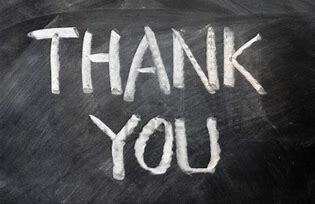 Thank you dear readers for joining us. For those wanting more information about Steven and his stories, please follow these links. 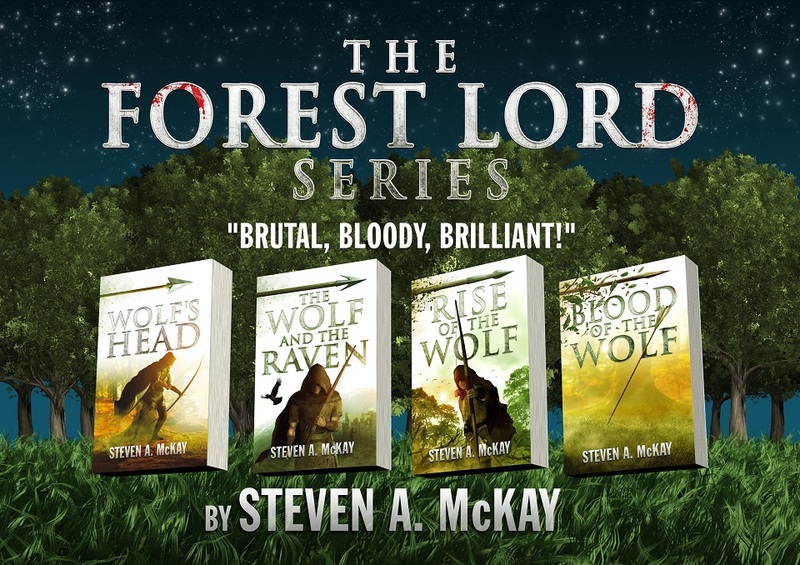 **If readers would like to try my writing for free they can sign-up to my newsletter and get a Forest Lord short ebook sent directly to their email.